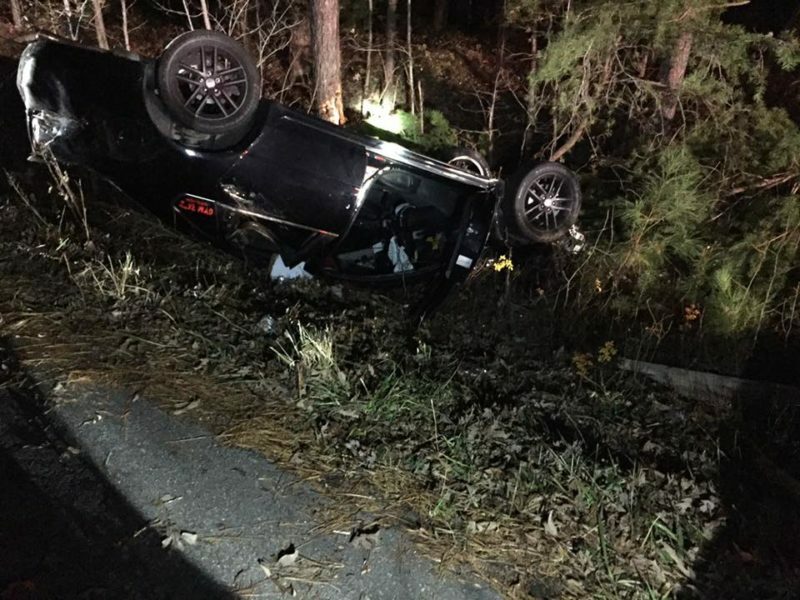 On Friday, November 30, 2018 at approximately 5:15 p.m., police fire and rescue personnel responded to the area of Mechanicsville Road, and Asher Road for the reported motor vehicle accident. Crews arrived on scene to find a single vehicle off the roadway overturned and in a ditch, with the single occupant out of the vehicle. 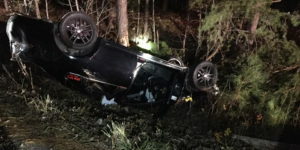 The driver was transported by ambulance to an area trauma center. Photos courtesy of Mechanicsville Volunteer Fire Department. This entry was posted on December 2, 2018 at 1:17 pm and is filed under All News, County, Fire & Rescue, Law Enforcement, More News, St. Mary's News, z 600X120 Top Ad Bottom, z 600X120 Top Ad Top. You can follow any responses to this entry through the RSS 2.0 feed. Looks like a Mustang, at least there wasn’t a crowd nearby. Good job there, Eagle eye. You’ve spotted a rare 4-door Mustang. The allusive…long wheel base, 4 door version. A rare sighting indeed! It’s definitely not a Mustang. If it was a Ford mustang, they could have turned it back over so the driver could continue on their way.